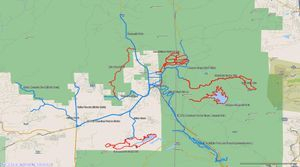 Maps of Woodland Park Riding. 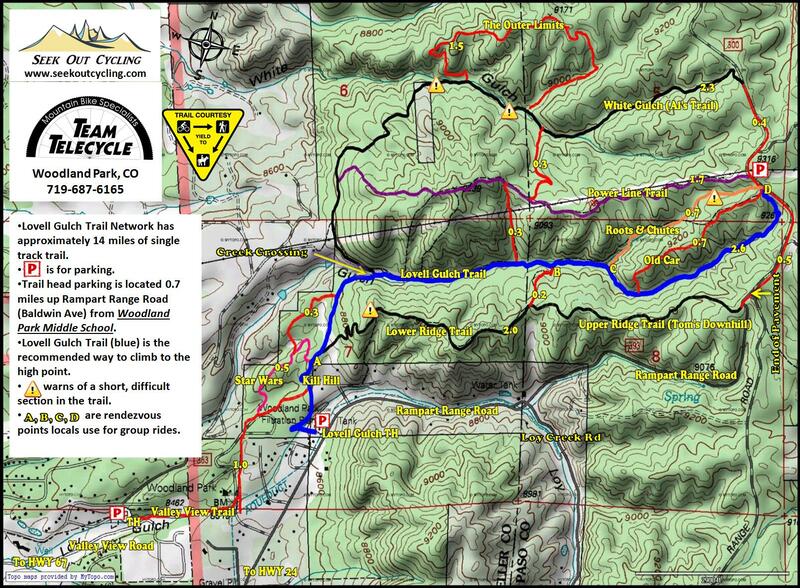 Lovell Gulch is a super fun trail network at the northern edge of Woodland Park. Catamount Reservoir is a challenging trail network on the north slope of Pikes Peak. 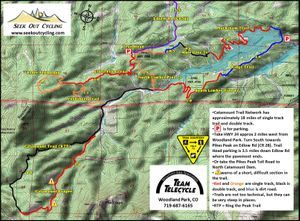 It is about 5 miles southwest of Woodland Park. 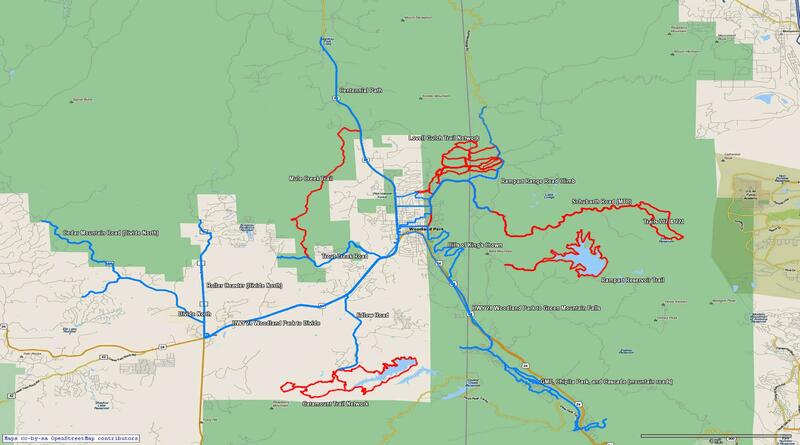 This is a basic map of all the road and mountain biking in the Woodland Park / Divide area. Southern Teller County has great road biking, too. 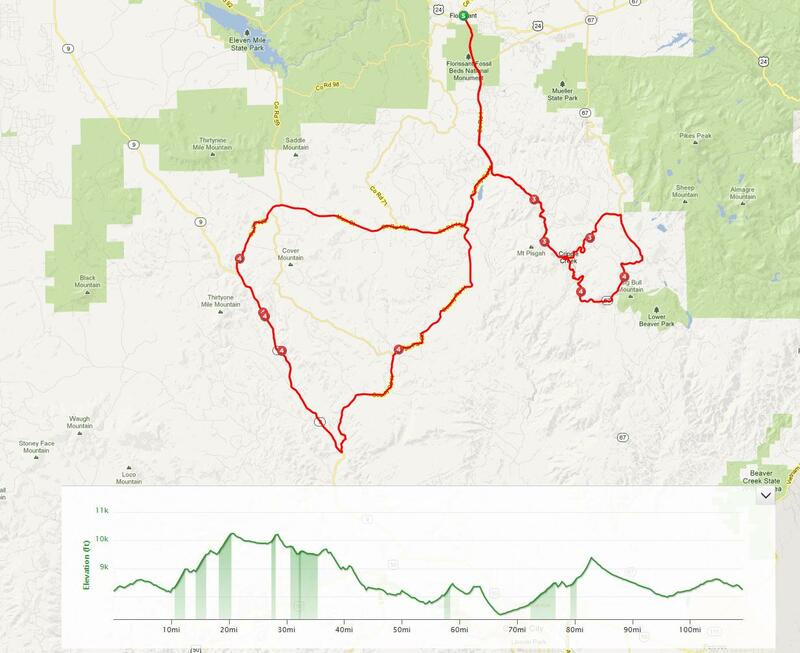 This map is of the Mountain Top Cycling Club's 106 mile Experience Ride. It starts in Florissant. 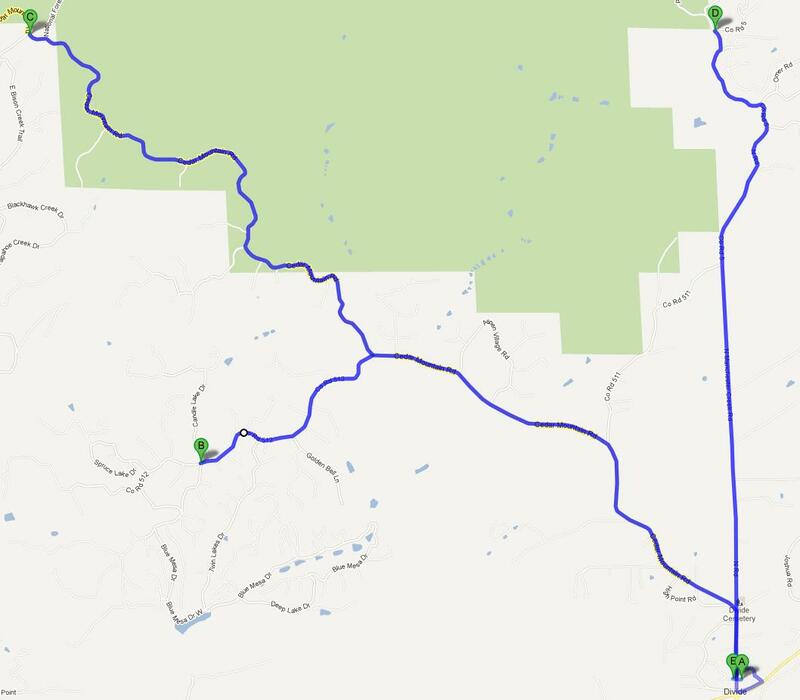 It goes through Cripple Creek, Victor, and Guffey. 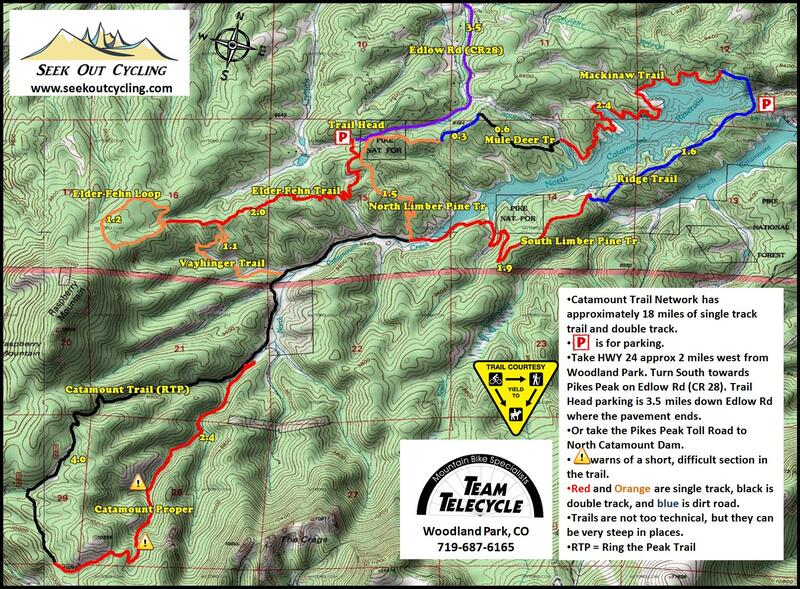 This is the Saturday Morning 10:00 AM ride map. 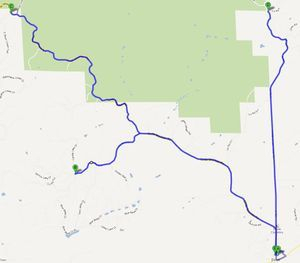 We meet at Venture Food store in Divide.